Paul Mueller is a general assignment reporter based out of Bay News 9’s Pinellas County newsroom. He typically starts his workday at 3 p.m. and brings you the latest breaking news as it happens through midnight. Paul has nearly 20 years of experience working in television news. 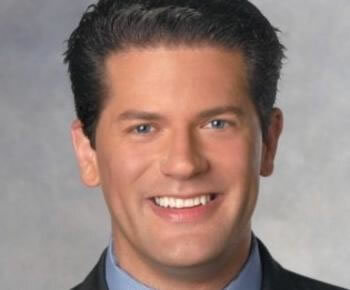 After graduating from Boston University with a bachelor’s degree in broadcast journalism, he worked behind the scenes in Boston and since then has worked in Texas, Virginia, Rhode Island, Massachusetts, Washington State, and now Florida. Some of Paul’s most memorable stories include reporting from Austin for the 2000 election that centered around “hanging chads,” the Rhode Island nightclub fire that killed 100 people, the Democratic National Convention in 2004, the Boston Tunnel collapse, the tragic bullying case that resulted in the death of Phoebe Prince, and most recently, the Republican National Convention. Even though Paul was born in New York, his family moved to Largo back in the mid 1980s. He went to St. Patrick’s School in Largo and then on to St. Paul’s School in Clearwater. Paul moved back to the Tampa Bay area in 2011 and is amazed at the tremendous growth and how things have changed since he moved away. When Paul’s not at work, he’s an avid yogi, loves working out, dabbles in still photography, and tries to pay it forward one day at a time. Paul can be seen nightly on Your Evening News at 10 and 11 and often times at 5 and 6.